Clocking in at around 150 minutes, Steven Spielberg’s historical drama Lincoln is much more than a simple biopic about one of America’s most beloved presidents. 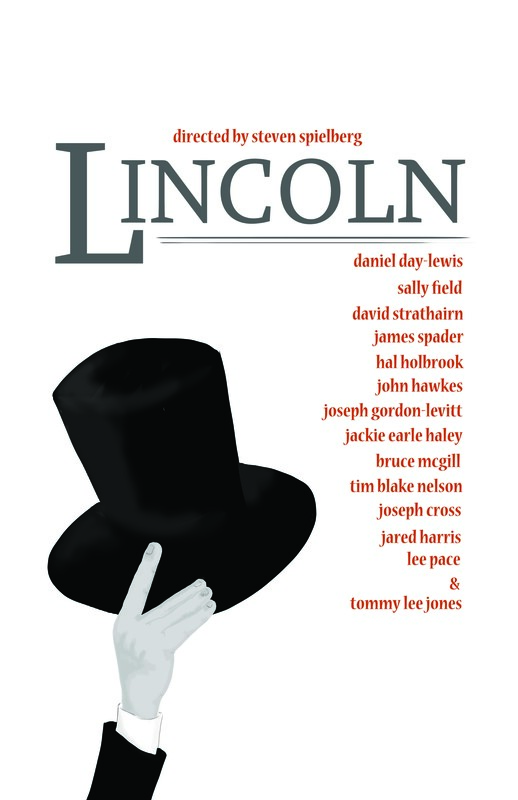 The film follows President Abraham Lincoln in the last four months of his life, as he tirelessly tries to abolish slavery before the Civil War ends. The film includes an excellent ensemble cast including Sally Field, Joseph Gordon-Levitt and Tommy Lee Jones. These complimenting actors provide a very strong support system for the movie’s standout performer Daniel Day-Lewis. Day-Lewis brilliantly captures a soft-spoken, battle-hardened president who, at the brink of victory in his war against slavery, seems too exhausted to appreciate its significance. He embodies the essence of the late president to a “T” and his physical resemblance to honest Abe is terrifyingly close. However, the movie is dense and difficult to sit through. There were a few too many dialogue-laden scenes that seemed to drag on and slow down the film’s overall momentum. At times it felt as if the audience was stuck in a classroom, trying to digest extremely dry history. Apart from this minor pace problem, the film delivers an impactful meaning which is felt from start to finish. What we can take away after watching Lincoln is how morally devoted he was to terminating slavery and ensuring equality for all. It’s far from an easy watch, but it’s an important story and the flawless main performance demands that you make time to go out and see it.